In the West, HR has been trying to get a seat at the business table for a generation. Before that, there were no CHRO’s and no VP’s of HR. Still, not many companies have a CHRO. HR’s in the West complain that they do not have a seat at the table. Leaders disdain them because they did not care to understand or put their business first. So HR started to wake up in the West. In fact when I connect with Global HR managers in the West, we can have a great talk about the business and adding value. They have moved. What was Western HR like before starting to notice these problems? I do not know. Perhaps some could say. I do say that China HR is at least a generation behind the West in waking up to business thinking. How many HR’s have an MBA for example. It is super uncommon if it happens at all. However, they are still HR first and business leader second. Every good business leader is a good HR leader meaning they understand a lot about people issues. Not every good HR leader is a good business leader. In China, HR has not yet touched this issue. They are deep in their silo. They make confident statements about people issues without realizing what the business issues are. Business leaders understand people and business. A lot of HR leaders only “understand” people, not the business. Who are our customers? Why do customers pay us? What are the real specialties of our company in the market? How do we drive the teams to work together? What will give us a competitive edge? What makes a great hire great? Most China HR Managers can answer the first question. It is difficult for most of them to answer any of the others well. They don’t even think about the others. For the rare few who get a little, they are always HR first and business leader second. How can HR Managers recruit business leaders for you if they don’t understand these basic business questions? My experience is they are not ready to really think about these issues. Western HR has struggled for a generation and still has gaps. Chinese HR still has not begun to struggle with this. They even have no self awareness of how far they are from business leader thinking. The final nail in the coffin is they will always put HR first and business leader second in their hearts. Unfortunately, Western leaders think that HR is culturally ready to give mind share to the business as they do in the West. In the West, HR needed a generation. Chinese HR clearly does too. They are far from ready to sit at the business table. Furthermore, they are still getting a handle on their own silo. Common Western companies work with common China HR leaders to fix common issues. 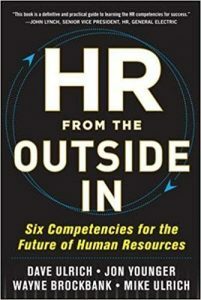 These books talk about the whole business and not just HR. These are breakthrough books in the West. A new thing emerged. These kind of books will not catch fire for a generation in China. They are not ready. So we need to adjust and not let HR decide how we will find business leaders to move us forward.